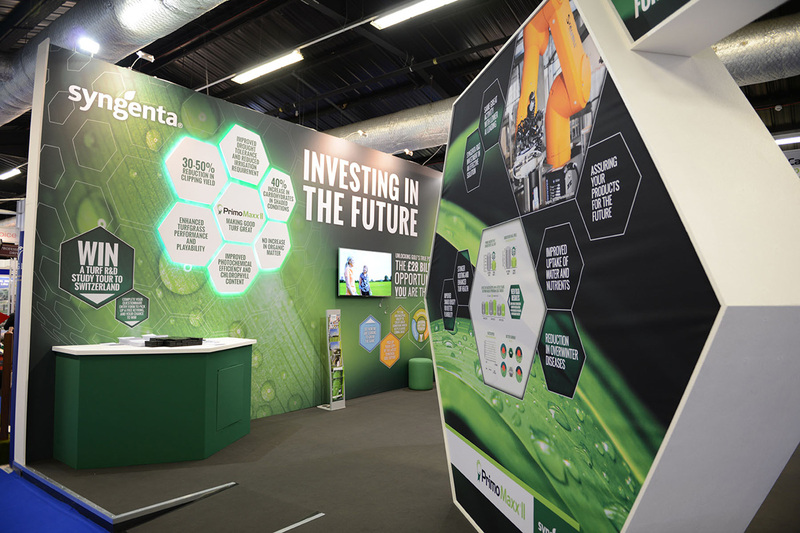 GQ was delighted to be brought on board once again to deliver the comprehensive design and production of Syngenta Turf’s exhibition stand at BTME in Harrogate. 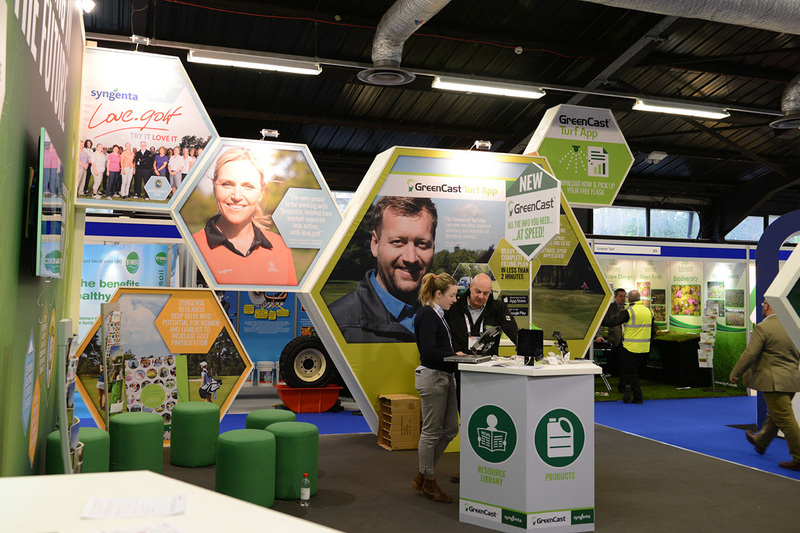 Europe’s leading expo for turf professionals, this huge annual event gives over 100 exhibitors the opportunity to network and showcase the latest products and innovations in the industry. 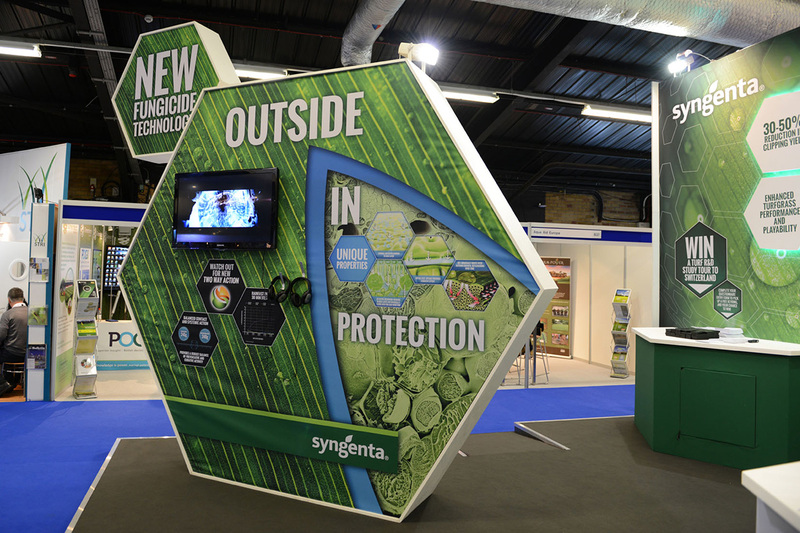 For Syngenta, who were publicising a newly launched product, an impactful and dynamic stand with a scientific feel was the way to go. Applying our recently developed new branding concept, the stand featured a striking back wall with illuminated polygon design, creating a high tech look that was carried through the entire stand, and aptly echoing a golf or football design. Impressive hexagonal graphics brought shape and interest which stood out from other competitors, whilst maximising space for messaging.